Paper bag storage of toys books or teddy bears. 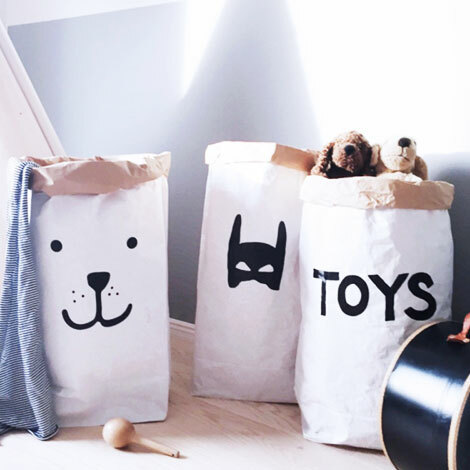 This gorgeous toy sack is made of paper, white and brown. Durable and reusable many times over. Once placed and arranged into shape, the paper bag becomes a design object in any kids room.